Our first home was pretty small and having a large area dedicated to gift wrapping was certainly out of the question. 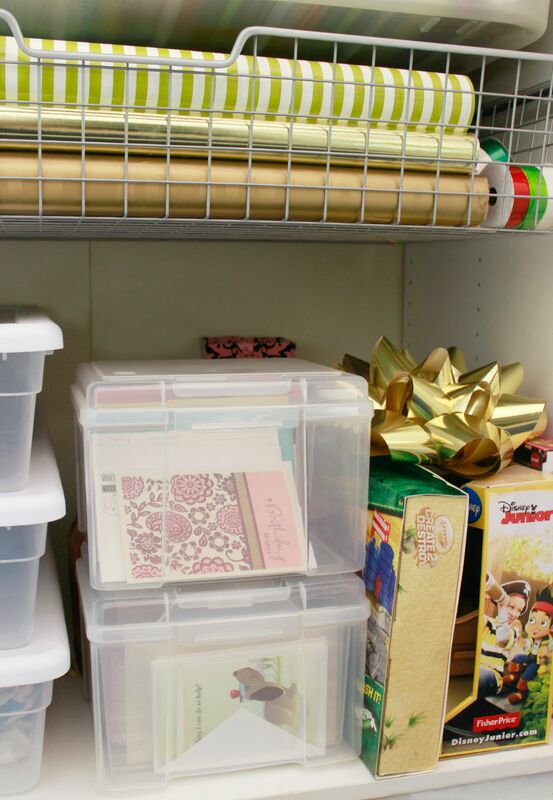 When we purchased our current home which also had a garage, I knew that I wanted wrap-around cabinets and one would be dedicated to gift wrapping. If I am ever upset at my husband, I just need to think back to all the work that he put into building the cabinetry in the garage – then my heart is once again filled with fuzzy feelings for the man! Seriously, it was a few weekends of a lot of hard work and trips back to IKEA. 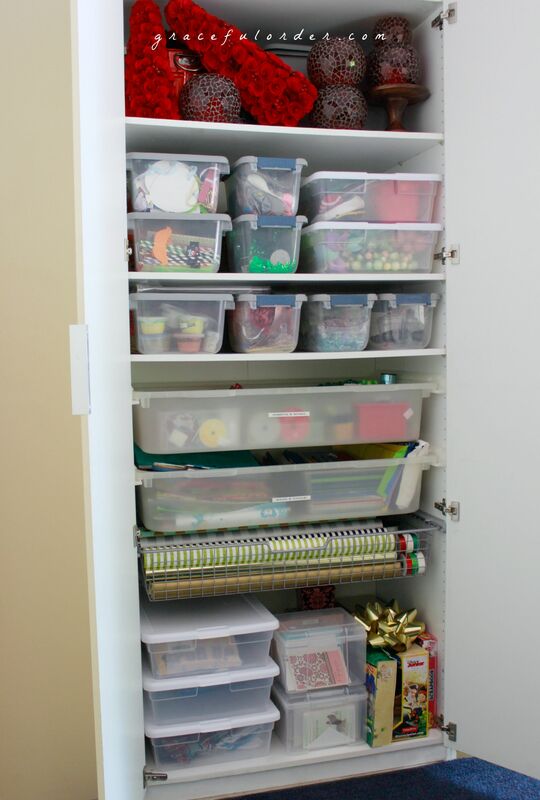 Most cabinets only had shelves but the one that housed the gift wrapping items had to have a few drawers as well. Almost half of the cabinet is full of party items because I didn’t need the whole cabinet for gift wrapping after all. The bottom half has 2 plastic drawers and one metal that holds all the paper. 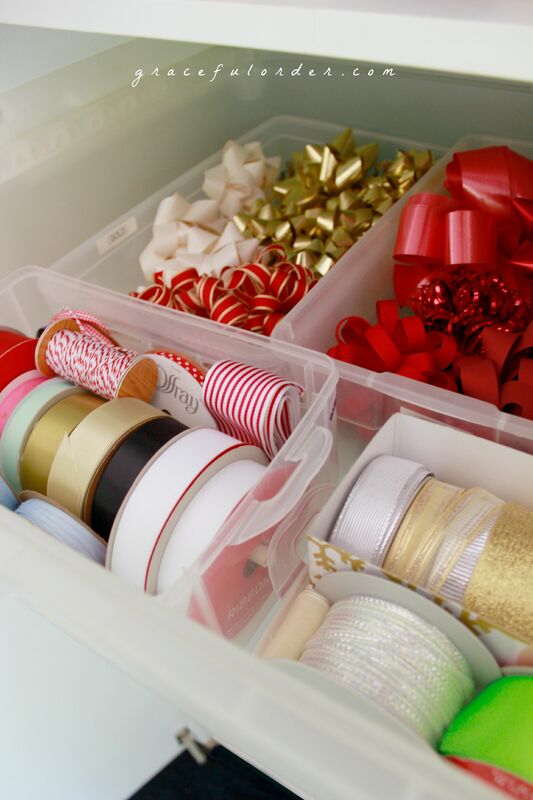 The first drawer holds all ribbon and bows. The bows are color grouped and separated by inexpensive shoe boxes that you can probably find at the dollar store. There are always more red bows since most of the wrapping occurs during the Christmas season. Most of this ribbon is from Walmart. I love cloth ribbon as a finishing touch to any gift although I admit that nothing beats the convenience of a ready made bow! The next drawer holds the bags and tissue. And there is enough tissue there to build a fort- a really colorful flimsy fort, but you get the point. The metal drawer holds a ton of rolls of gift wrapping paper. I love the convenience of a gift bag (it’s usually the route that I go) but I love a beautifully wrapped box! I also like looking at pretty paper when I open the cabinet! The very bottom of the cabinet holds extra gifts. Some are items that need to be re-gifted and others are items that I purchase ahead of time for upcoming birthdays. 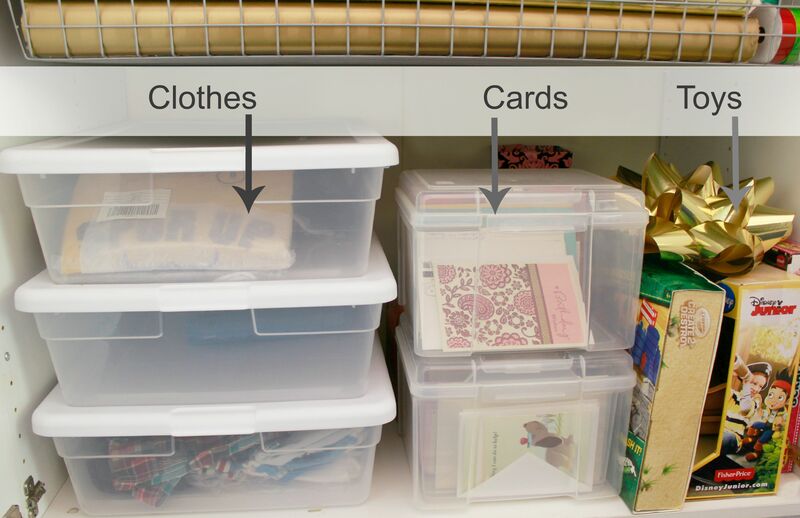 I also have 2 greeting card organizers that I love! One is full of birthday cards and the other is divided into other occasions. It just occurred to me I can never re-gift that Jake toy to anyone that reads the blog…oh shucks! 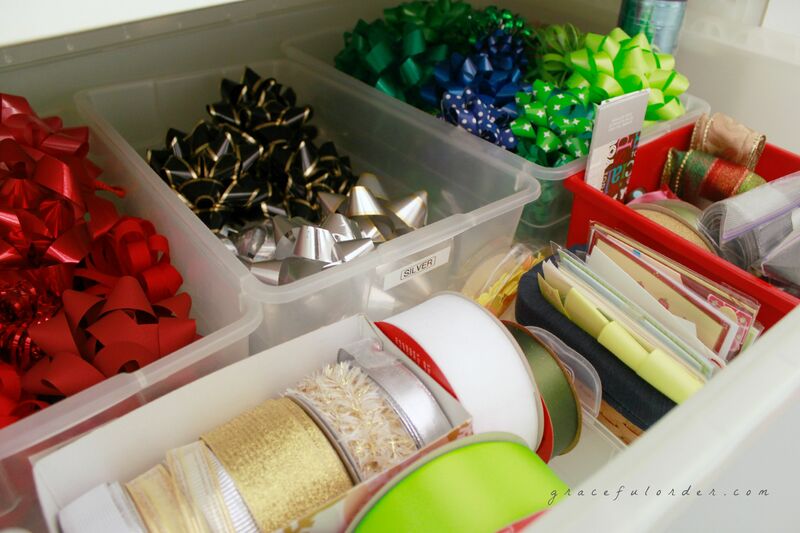 How do you store your gift wrapping items? Do you also love pretty gift wrapping paper even if you rarely use it? Thanks for linking this up to the Welcome Home Wednesdays link party! I need one of these so badly! I really love your wrapping paper too Thanks for sharing…we hope to see you again next week! How sweet of your husband to build this for you. I need this too. I store gift wrap and tissue in a few random places in the house and can never remember what I have when I need to wrap a gift so I always buy more. I love how organized this is. Thank you for sharing your gift wrapping station on Welcome Home Wednesdays Linky Party. Hope you come back to party with us again. I will! Thank you so much, Tracy! This is inspiring! I love that all the supplies are ready and available. I’m always running out to get wrapping paper or a gift back right before a party. 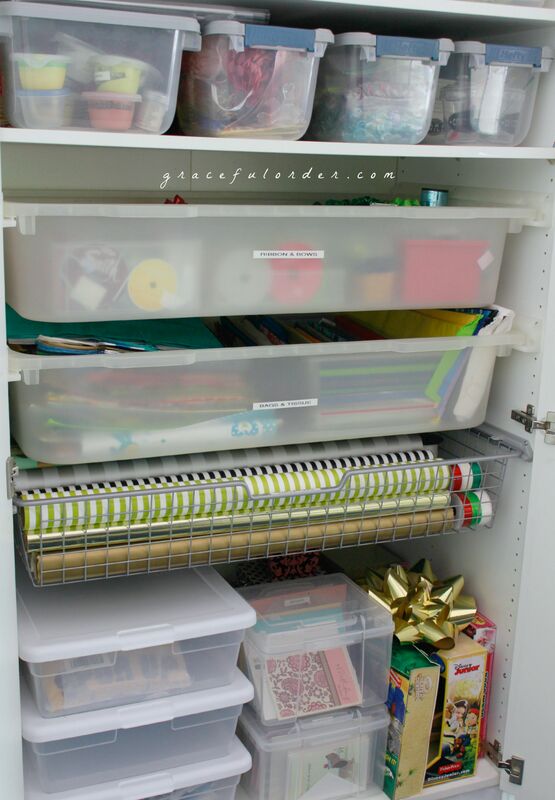 For an organizational/packaging junkie this closet is like heaven! I still have a tiny little rental house so I tend to shove all my wrapping supplies in the front hall closet and hope they don’t fall on people.. this is my new dream. I want one! Thanks for linking up with us at Welcome Home Wednesdays… can’t wait to see you next week! I’m an organizational junkie too! Thank you for your sweet comment! With Christmas just around the corner, something like this needs to be on my to-do list at home. I looooove wrapping paper (ps where on earth did you find all your amazing paper?!). Same here! I found most of that paper at Homegoods. I need this in my life! Thanks for sharing! Pinning! Ahhhh!!! 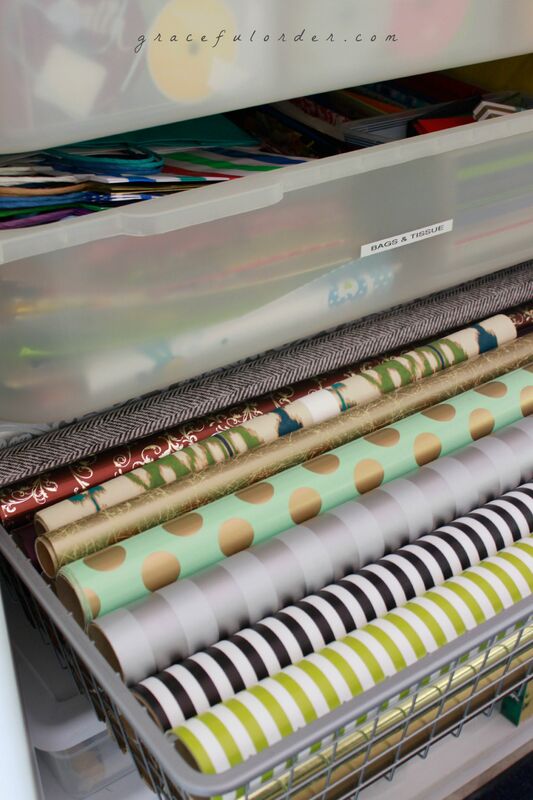 It’s like a little slice of gift wrapping heaven!!!!! I love this! 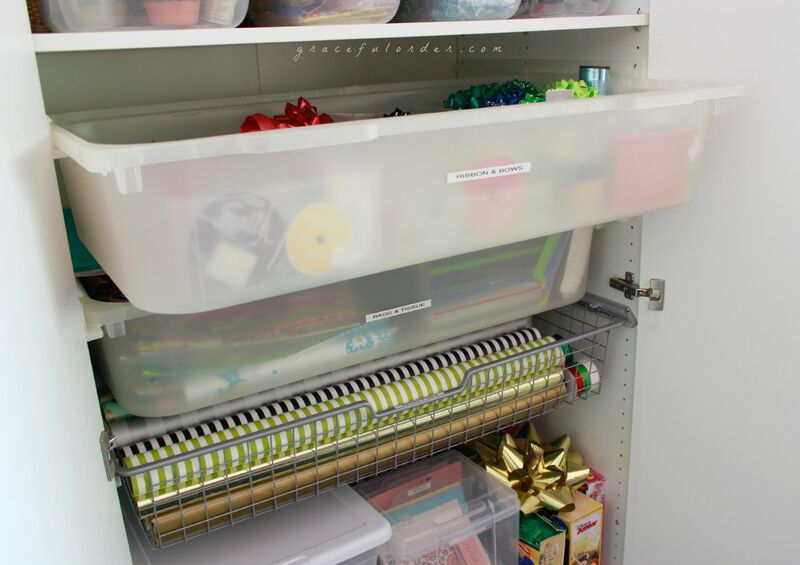 What a great way to organize all of your gift wrapping supplies in one place. 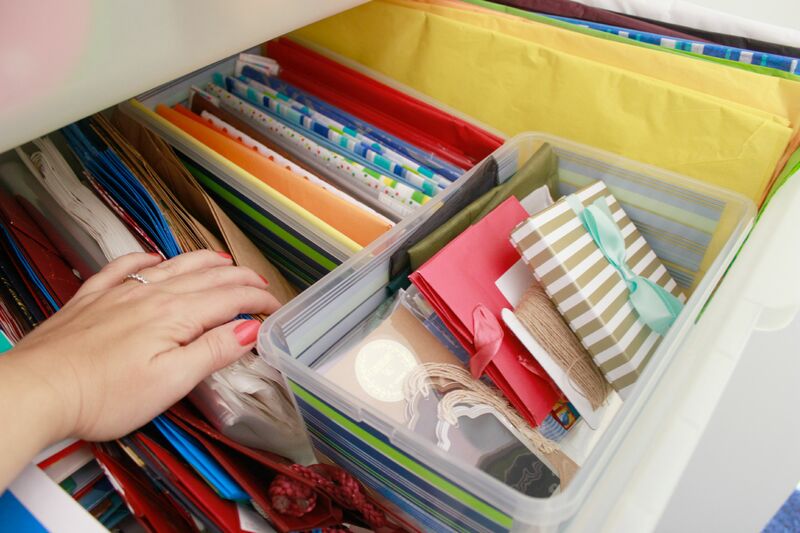 Makes me want to get busy and organize my own! So great! 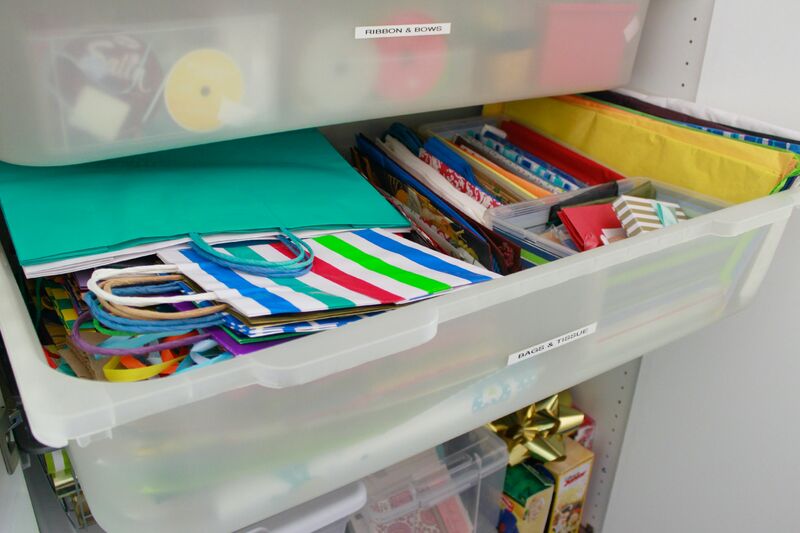 That kind of organization makes my heart go pitter patter! 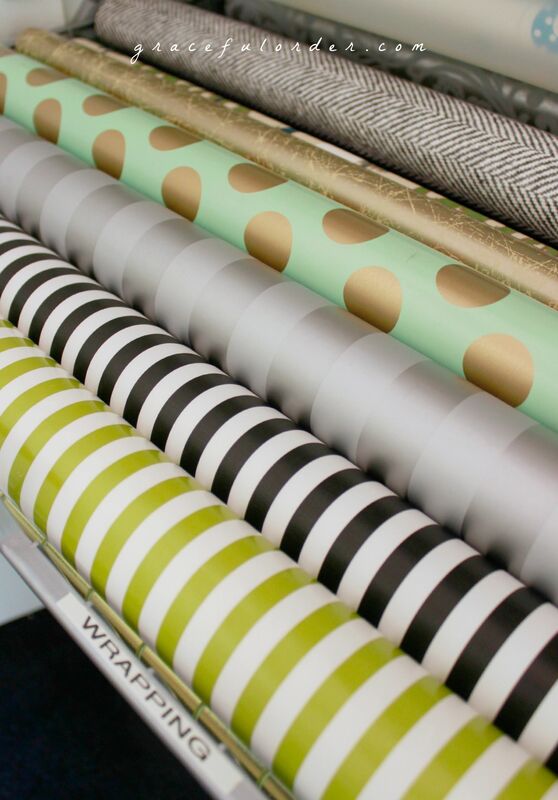 It inspires me to get my wrapping materials together before the holidays! I recognize this sweet face from my instagram feed! Well done my sweet friend!! Aww thank you so much Sam! Love it! Which organizing system did you use? Thank you Rebecca! It is the PAX system from IKEA.